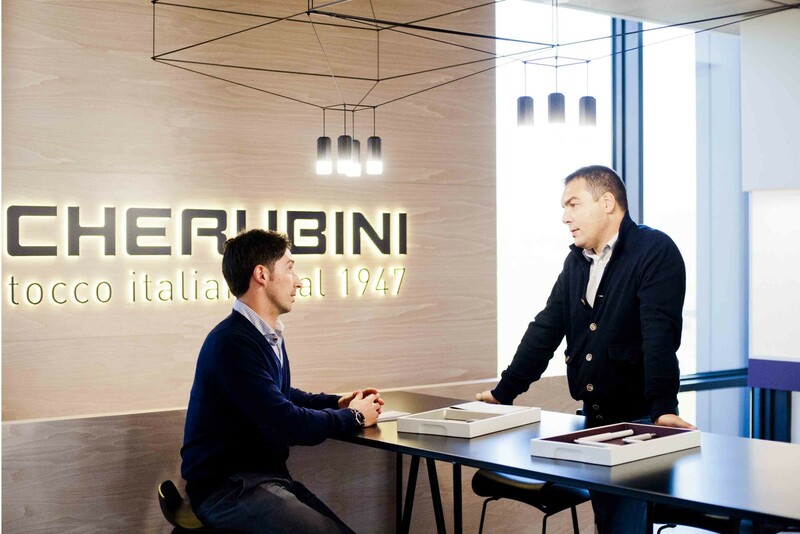 A new way of living the workplace helping Cherubini to get people close to its artisan soul. Whoever thinks of Cherubini, always thinks of a multinational corporation with an industrial approach. 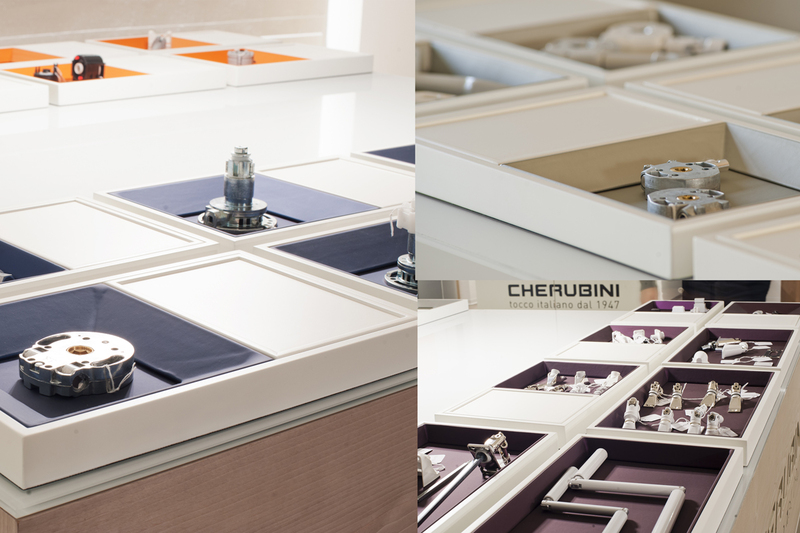 First of all, Cherubini is a big and united family and we have helped it to communicate this great concept. 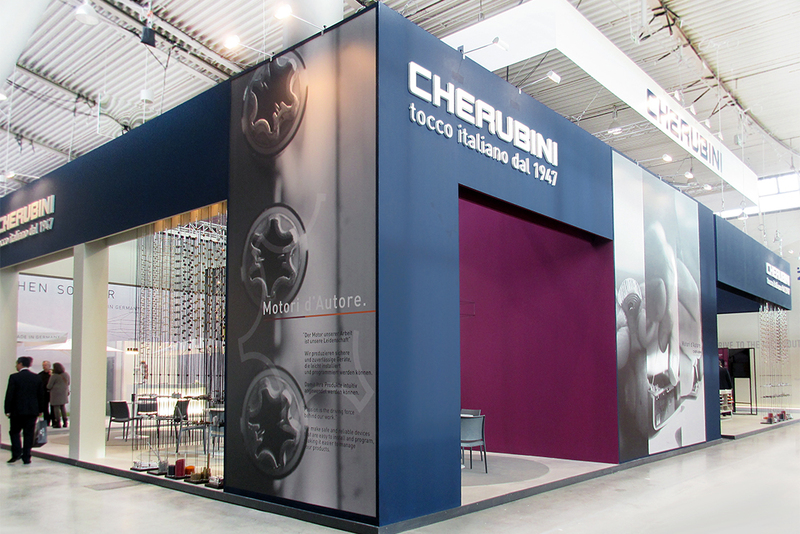 Cherubini is an Italian company with 40 years of experience in accessories for blinds, awnings and shutters. 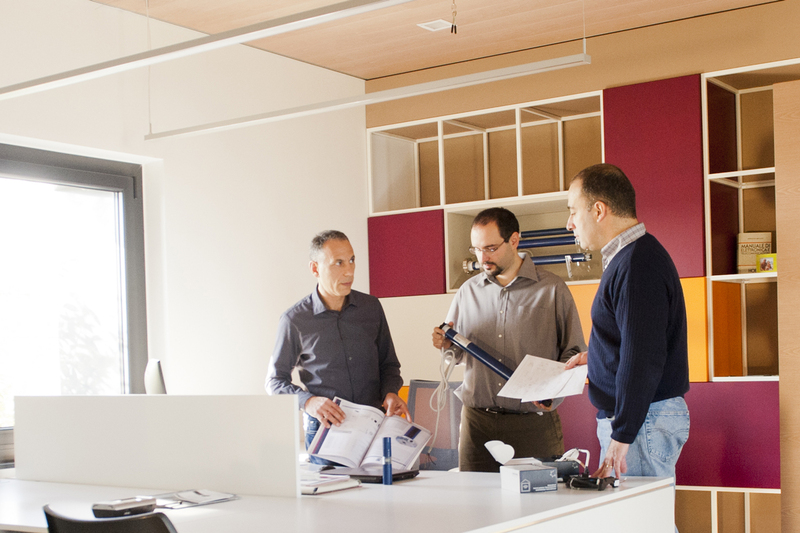 The company headquarter is based in Italy (Bedizzole, Brescia) while abroad there are 4 commercial branches – Shanghai, Bonn, Vauvert and Sax (Alicante) – and 4 productive branches, 3 of them in Italy and 1 in Asia (Dong Guang). 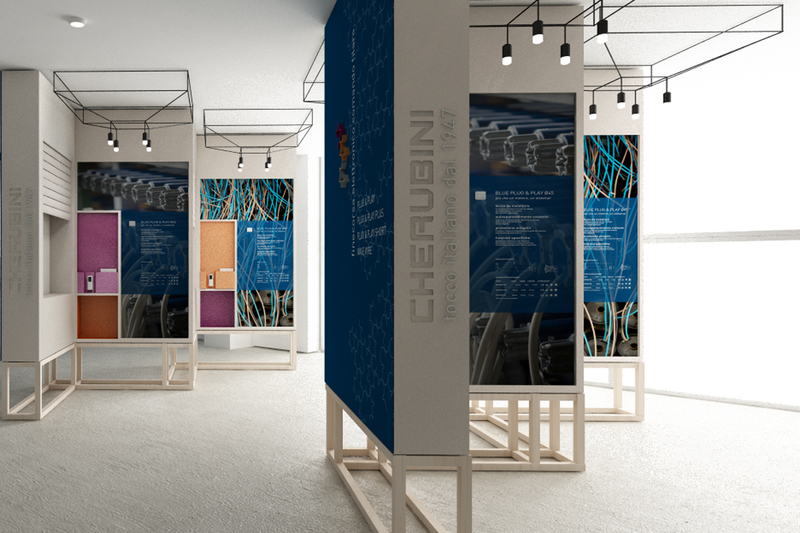 Cherubini wants to use its rich new brand identity and product heritage to bring to life the Italian headquarter and its presence during world’s trade fairs. 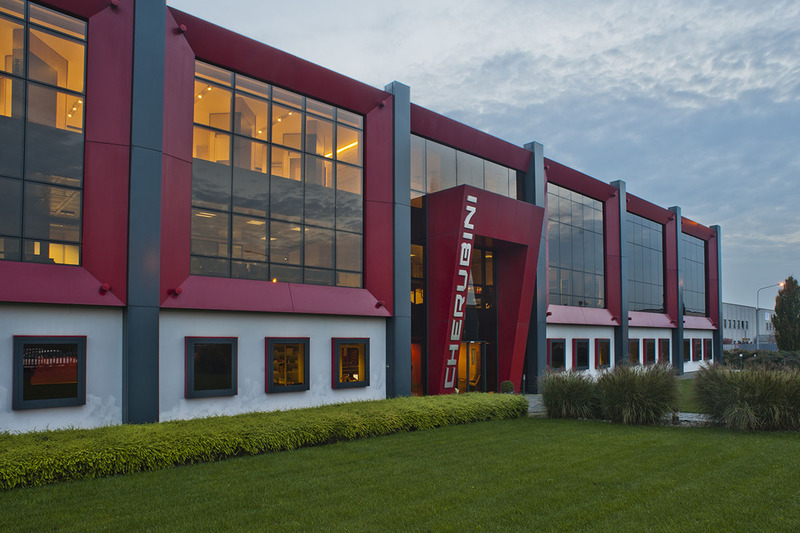 To bring the heart of Cherubini innovation (laboratories) where everyone can see them and appreciate the quality and passion of the processing techniques. 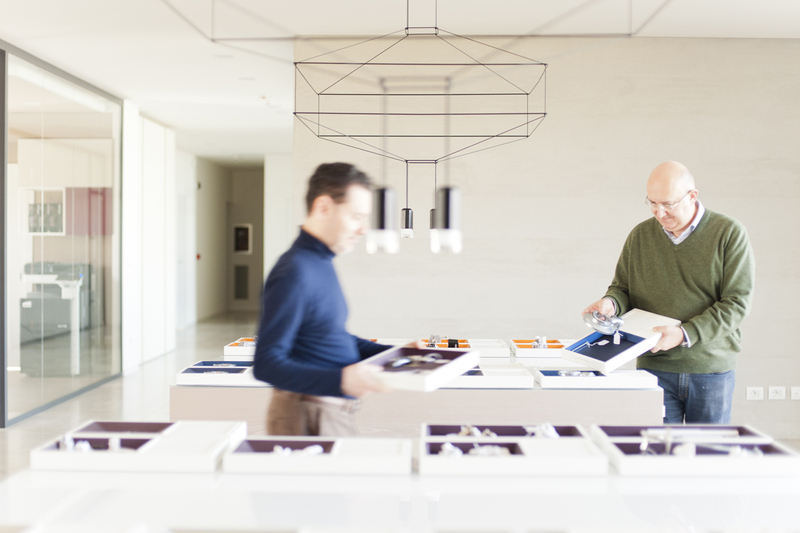 An industrial company with a new atelier landscape where people can feel Cherubini handmade soul and experience spaces that were not previously accessible. The lively, visually rich workspace generated a huge amount of excitement and appreciation amongst staff. When you arrive at the showroom, there are raw materials, history and innovation that welcome and lead you to the heart of the company. 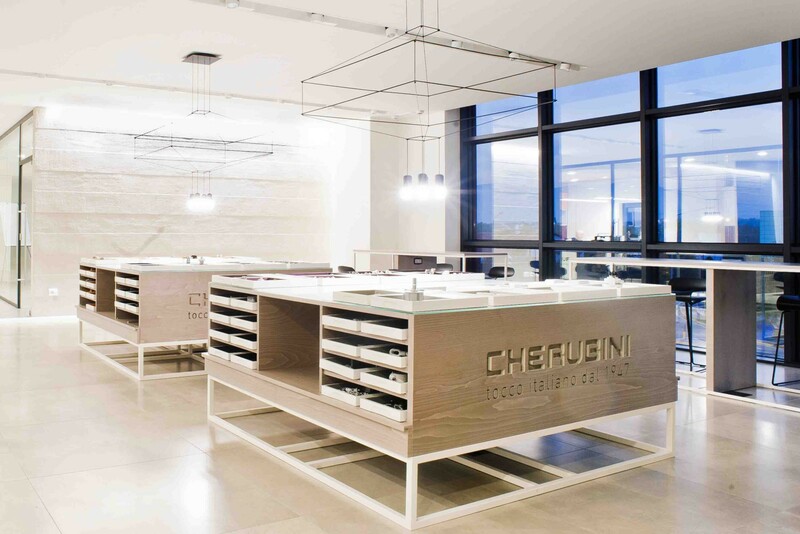 In every inch of this space you can breathe Cherubini artisan soul. Let dive yourself into Cherubini’s world. From the tale of the company’s history to the products and processes’ exposure that have marked Cherubini distinctiveness. 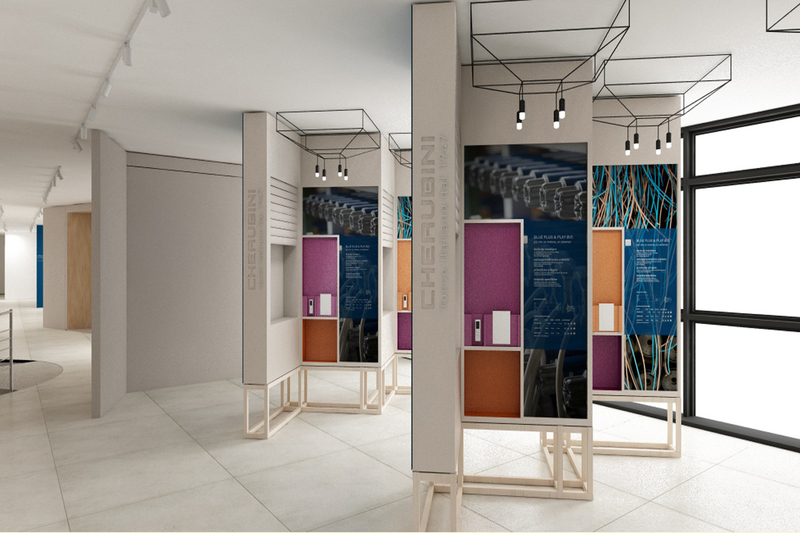 Through an engaging and memorable installations system, which enhances the features of the products, Cherubini expresses its know-how and its history by stimulating and encouraging the client. 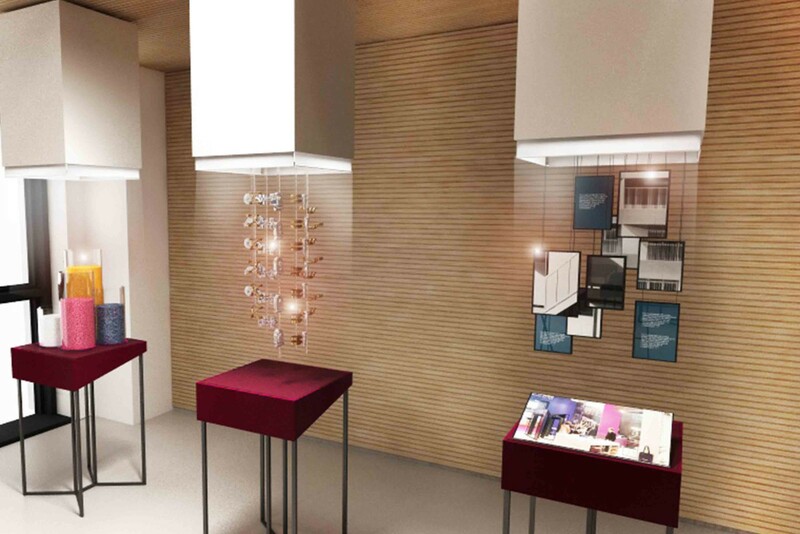 — Installations system into showroom welcome area. The heart of the work is finally visible to the public. 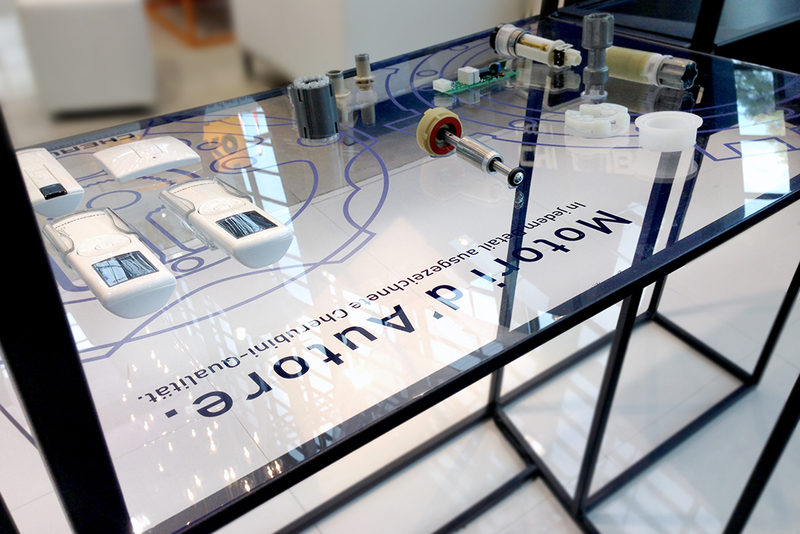 The innovation labs (technical and manual) are also accessible to the customer. In this way, it is possible to show all the realization phases of the products in a scenographic way, enhancing their characteristics. All products are exposed like jewels. From the smallest to the biggest ones, they are placed within splits covered with a precious textile. Through the communication panels clients live a mix of emotional and instructive experience. An elegant and practical exposure system facilitates the identification of product categories. 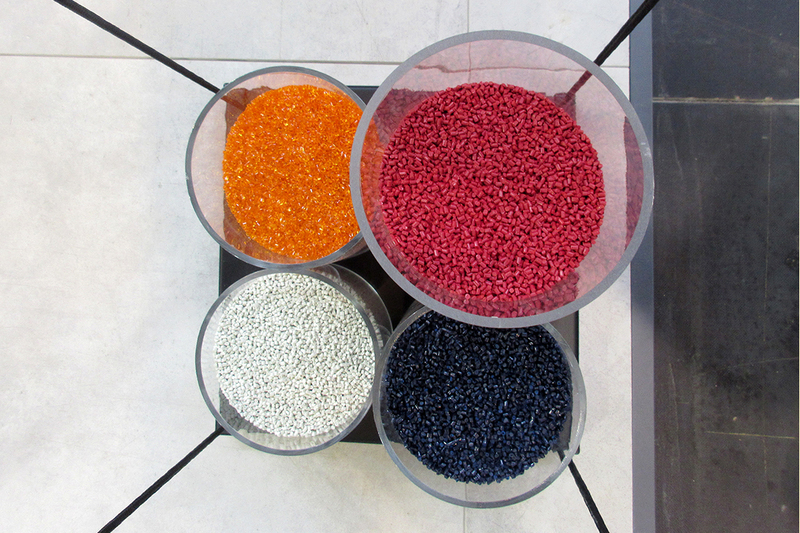 Photos and institutional colours enhance the products exhibition and reinforce the concept of manual skill. 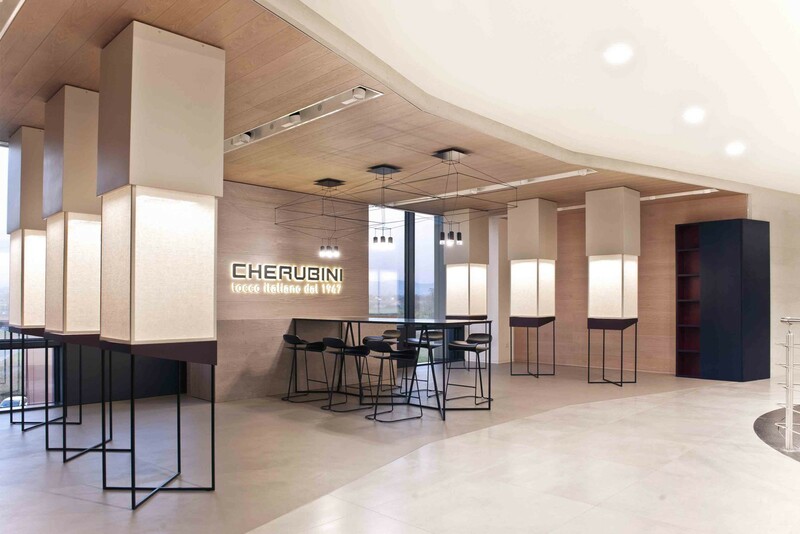 From isolated areas to sharing places: these are the new Cherubini offices. Each single furniture has been thought, in harmony with the rest of the headquarter, in order to meet all the drivers’ project. Sophistication, attention to detail, accuracy and energy. 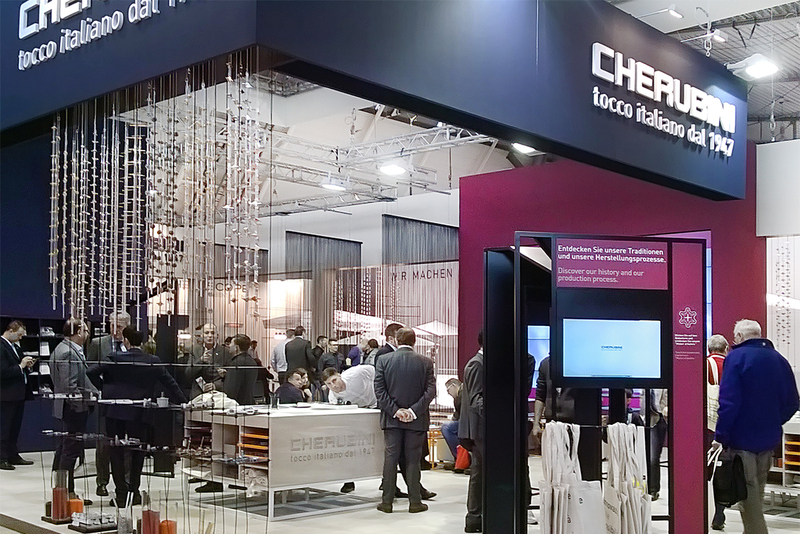 An innovative design exhibition project- designed for customers and not for products – to push Cherubini brand positioning abroad. 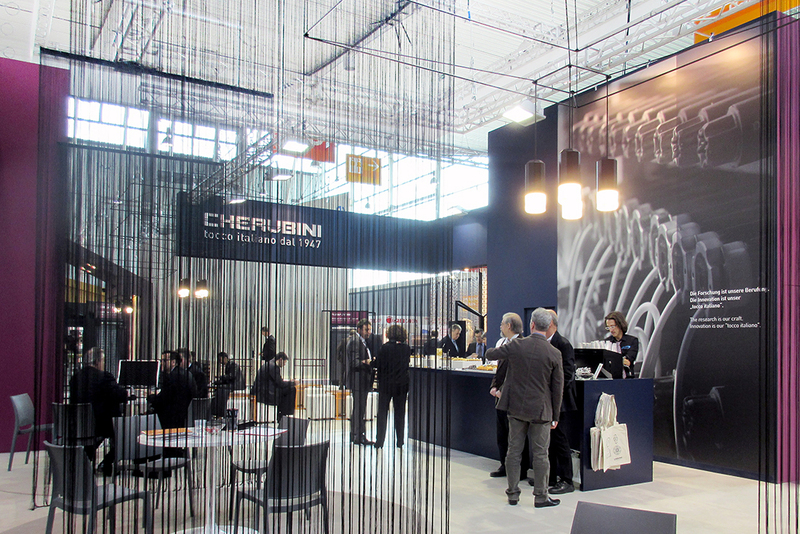 The Cherubini presence during world’s trade fairs for windows, doors and facades (R+ T in Stuttgart; lnternational Exhibition Fensterbau Frontale in Nuremberg; the one R+ T Asia in Shanghai; the Artibat Exhibition in Rennes and the Equip’Baie in Paris) has DINN! signature. 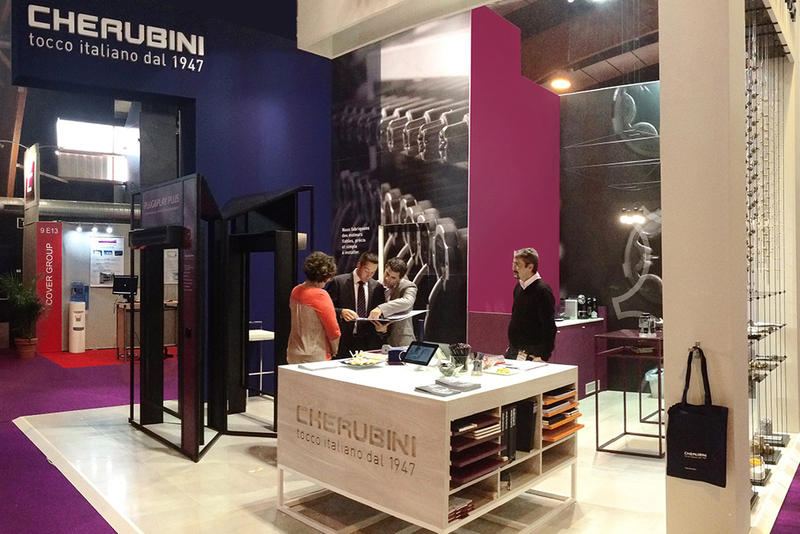 The design exhibition project aims to innovate the method to engage clients, increase the acquisition of new customers and sell Cherubini products. An innovative service design model that gives life to a distinctive customer and to a digital experience, building a strong attraction between the product and the customer. This help to emphasize this relationship. There was a cognitive dissonance between the real essence of Cherubini and the way they communicate it. We helped our client to create a new brand repositioning that is changing the way to compete in the B2B market.